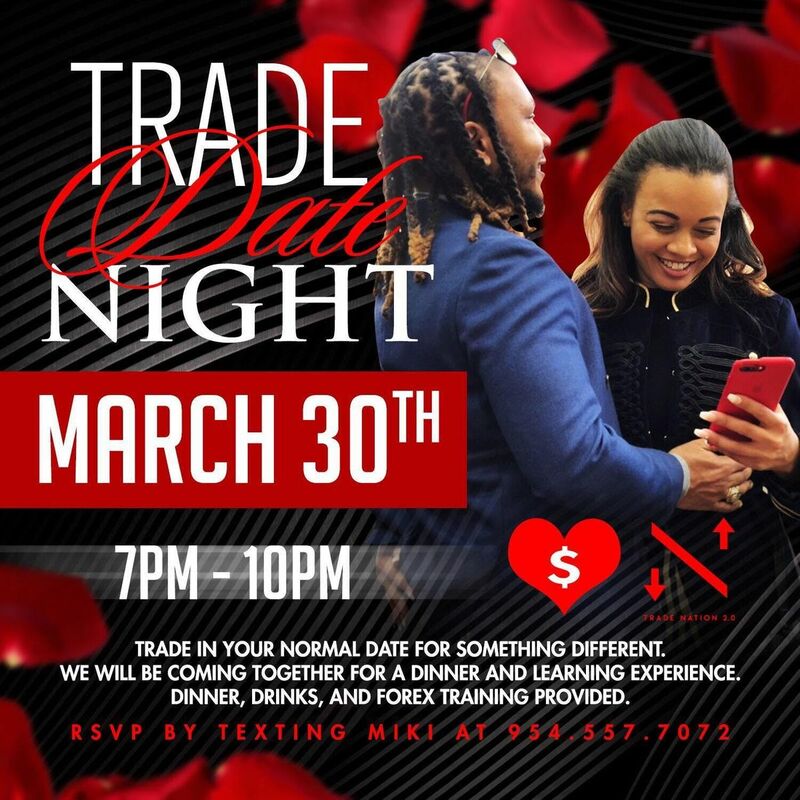 When was the last time you and your honey went on a date and MADE MONEY? Studies show that finances are the #1 killer of relationships and most couples want to save their relationship but have no idea how to fix their finances. Your hosts Chad & Miki together have learned a skillset that is not only strengthened their relationship but also their bank account. Now together they travel the world teaching this skill and empowering other couples to build their own mobile empire. 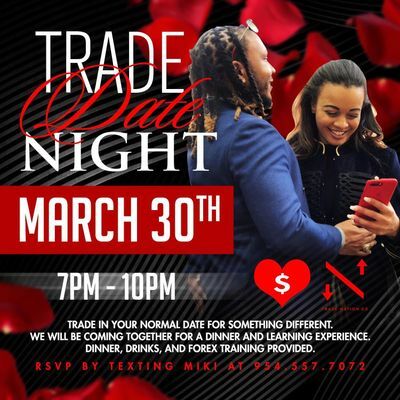 At this unique date night you will enjoy a gourmet chef prepared meal, cocktails, smooth music, and a demo on how forex trading works and how you and your honey can revamp your love and financial life together. I promise you have never experienced a date night like this before. You will also be able to network and meet other couples who have created a mobile empire and love story through forex.